About 24 h incubation of Azomonas (A.) macrocytogenes isolate KC685000 in 14L fermenter produced 22% poly (3-hydroxybutyrate) (PHB) per cell dry weight (CDW) biopolymer using 1 vvm aeration, 10% inoculum size, and initial pH of 7.2. To control the fermentation process, Logistic and Leudeking–Piret models were used to describe the cell growth and PHB production, respectively. These two models were in good agreement with the experimental data confirming the growth associated nature of PHB production. The best method for recovery of PHB was chemical digestion using sodium hypochlorite alone. The characterization of the produced polymer was carried out using FT-IR, 1HNMR spectroscopy, gel permeation chromatography and transmission electron microscope. The analysis of the nucleotide sequences of PHA synthase enzyme revealed class III identity. The putative tertiary structure of PHA synthase enzyme was analyzed using Modular Approach to Structural class prediction software, Tied Mixture Hidden Markov Model server, and Swiss model software. 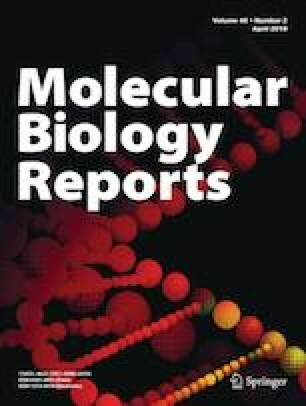 It was deduced that PHA synthases’ structural class was multidomain protein (α/β) containing a conserved cysteine residue and lipase box as characteristic features of α/β hydrolase super family. Taken together, all the results of molecular characterization and transmission electron microscope images supported that the PHB formation was attained by the micelle model. To the best of our knowledge, this is the first report on production of growth associated PHB polymer using A. macrocytogenes isolate KC685000, and its class III PHA synthase. The online version of this article ( https://doi.org/10.1007/s11033-019-04798-4) contains supplementary material, which is available to authorized users. We would like to acknowledge the Microbiology and Immunology department, Faculty of Pharmacy, Ain Shams University for giving us all the facilities and equipments to accomplish this work. Also we thank Dr. Ghadir EL-Housseiny, PhD for her valuable assistance in the kinetic modelling of PHB production in this research.